The printing demands of Toronto and Mississauga’s education industries are many and varied. From student worksheets and course readers, to essays and creative projects, college printers on campus need to be able to handle anything without fail. Busys.ca specializes in providing high quality printers that meet the needs of all educational institutions in Toronto, Mississauga, and the Greater Toronto Area. Our dedicated team are experts at selecting the perfect printer for every client, and our comprehensive service contracts ensure they stay up and running when you need them most. Being able to get your perfectly crafted essay or creative story out of your head and onto your computer is already difficult enough. Adding in the stress of transferring it off your laptop and onto paper can be the bane of many students’ (and faculty members’) lives. One of the easiest and most accessible ways to turn a digital file into a physical copy is by copying the file onto a USB. With the USB being such a universal format for storing files, it is important that any educational institution in Toronto, Mississauga, and the GTA offer printing facilities that are capable of handling direct from USB printing. Busys.ca offers a range of high quality multifunction printers and scanners that offer integrated USB printing as standard. 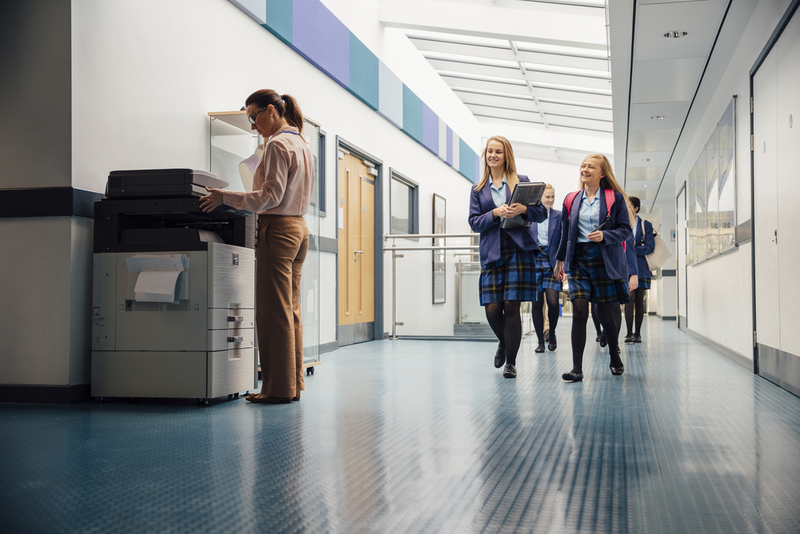 Our industry-leading partners include Konica Minolta, Toshiba, and Canon, and every printer comes with high end features your students will love. High print capacity, blistering fast output, and performance you can rely on will mean you’ll never have panicked students rushing to your door complaining about a broken printer again. Your students won’t be the only ones benefiting from a top of the line college printer. Your administration staff and faculty will be able to utilise all of the efficiency boosting benefits of printing direct from USB as well, saving time and money for every class. Printers for the educational industry in Toronto and Mississauga need to be able to handle the printing jobs of thousands of students and teachers, all day every day. From 50 page dissertations to colourful presentations, college printers need to be able to deliver or risk throwing schedules into disarray. Busys.ca takes pride in offering the most comprehensive range of educational printers in Ontario. We specialize in providing complete printing solutions to primary schools, high schools, universities, and colleges. 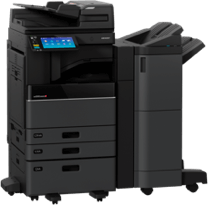 Our multifunction printers and copiers from Toshiba, Canon, and Konica Minolta all come with wireless printing functionality, allowing everyone on campus to print their important documents wherever they are. Replacing toner can be an annoyance that few school administrators have time for. Our Busys.ca service contract comes with toner replacement as standard, so you’ll never have to worry about not being able to print again. Once we identify that your toner is running low, we send a highly experienced technician to your location who swaps out the toner for a fresh one. We’re also on hand whenever you need us for any technical issues you might experience so a printing expert is just a phone call away. 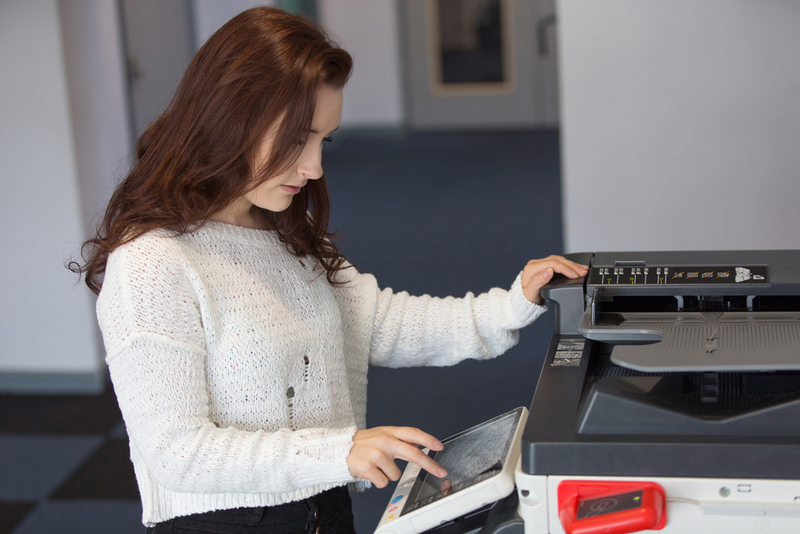 Many universities and colleges utilise a Pay Per Print model for their on campus printers, to cover the costs of maintaining the printer and to ensure they are not abused. This usually involves each student receiving a printing card that they can load with money, and the printers having paywall locked software that only releases a print job once payment has been received. Busys.ca stocks a range of printers compatible with Pay Per Print integration. Our multifunction printers and copiers all have in built integration with a range of app marketplaces for enhanced functionality, as well as enhanced connectivity with many leading third party applications. Simply ask your Busys.ca printing specialist about your specific needs and we would be more than happy to find you a printing solution that fits the bill. Running an educational institution in Toronto and Mississauga can be a daunting, fast-paced job. You do not have time for things not to work smoothly, especially when it comes to your printing needs. At Busys.ca, we take the time to speak with every client in depth about what they need from their printer to ensure we connect them with the right machine. 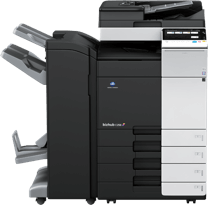 We offer over 100 multifunction printers and copiers, so you will always have a range to choose from to suit your needs. Every printer we offer can be either leased or purchased, so you’ll be able to get the printer that is right for you at a price that works for your budget. Our service agreement covers all maintenance, repairs, and toner replacement, so all you have to worry about is restocking the paper. With paper capacities on many of our machines over 4,000 sheets, you’ll hardly ever have to worry about that either. If you’re in the educational industry in Toronto or Mississauga and need a high quality printer that won’t let you down, contact Busys.ca today and speak to one of our printing experts.